Strangely enough this isn't my first rodeo, back in the day I wrote for the N64HQ as well as a few other outlets on freelance gigs but then when the HQ closed I decided to step it up and started The 64 Source. As the first word of a follow-up system to the N64 began to swirl I then decided to venture out into completely new territory and started OperatioN2000, where I had very little regular reputable news to share. With no other options I decided create my own content focused on profiling key developers and their current relationship with Nintendo or "dream games" where I saw opportunities for Nintendo to dust off classics or recently-made games and do something new with them on improved hardware. This was all going pretty well until my wife and I decided to have our first child and I then decided that it was time to hang it up and focus on my family. As I closed down both sites I did decide to partner with Billy Berghammer, another former N64HQ writer, who had created his own site, PlanetN2000. We agreed to move over the relevant content from the older sites to his and on top of that I had taken a grad school class in programming in ColdFusion and decided to offer to code the front-end and back-end for a new version of his site. Through these efforts the newer and more complete Planet GameCube was born! While I would occasionally contribute to that site, helping do things like working out Louie the Cat doing rumors and other odd things, I eventually decided to stop as my family obligations grew. While I had continued to follow Nintendo through both the Wii and Wii U eras my TV time was limited enough that I began playing more PC games again. It is in the PC space that I began to play a number of independent games and they started to be the games I enjoyed the most. Between their lower price, their often less traditional gameplay and approach, and their great variety I was hooked! With the launch of the Nintendo Switch I was already excited by the possibilities. The portability factor alone meant that I would have far more options and places I could play away from the TV, and games like Breath of the Wild looked impressive. With my oldest daughter poised to start her senior year in high school and my youngest finishing out junior high I started to see an opportunity to get back into amateur games journalism once again with what is now Nintendo World Report as well but I'd initially just thought about writing some editorials periodically. Then, right before the launch of the system, Nintendo had their Nindie-focused presentation and I saw my two most beloved gaming worlds colliding. The games I had been playing on my PC could now be played in a portable way and on Nintendo hardware! 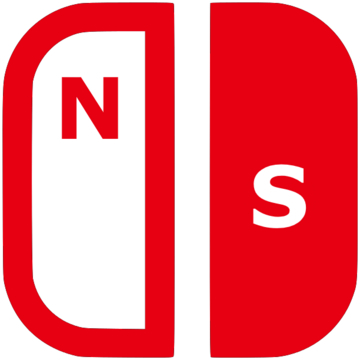 Being the type who tends to work against the normal current the concept behind Nindie Spotlight was born! Providing a unique take on the combination of traditional arcade shooting and roguelike challenge Stellar Interface is a blast to play once you get over the initial hump. The elements of risk and reward are ever-present, every run tends to go very differently even when working with the same ship, and there are a multitude of builds that I was able to find success with. The boss challenges are pretty significant but rewarding, Endless Mode offers a more traditional arcade experience, and overall there’s a surprising amount of great content to be discovered and explored if you’re up to the challenge. All things considered, Momodora is a solid Metroidvania that certainly has visual flair and a solid core gameplay experience. The sensibilities with its challenge are both modern and super old school, putting the pressure on the player to “git gud” to accept and work through some ordeals to find success. While I like a good challenge I’d argue that Momodora’s weakness is a tendency towards cheapness a bit too often, which diminishes the fun a bit in the process. However, if you’re down for pushing yourself to get through this gauntlet of strange enemies and some frustration it’s worth checking out. In the end I’d definitely say you should give the video a look to see if the style of play suits you. It’s methodical and can throw you a challenge but between the ordinary presentation and how fundamentally basic the gameplay mechanics are it’s hardly a must-play experience either. In an eShop full of intriguing puzzle games many flavors Samsara Deluxe may be unique but it still struggles with just being very average. I really appreciate the core bones of what Hive Jump offers, and for the first few hours while I was still getting into my groove it was quite a bit of fun. Familiarity, once it sets in, really wears on the experience though and while taking down the hive queen is a challenge there’s simply a lot of repetition to be had getting there which ends up feeling a bit pointless and for its own sake. With some support things get a bit chaotic and busy but the ability to have some more diverse builds that compliment each other does change things up a bit so that’s a plus. I’d love to see a more fleshed out sequel with more enemy variety and surprises, the core experience is there and it’s a good one, there’s just no missing the grind once it sets in. Overall, I can see where this title could appeal to the right segment of gamers, people who don’t mind some frustration and want something that looks and sounds great and has a focus on quick action. Just be ready for some difficulty spikes in odd places, stages you’ll absolutely need to die on a few times to get the hang of the goal, and an occasional feeling of betrayal at your thumb and the joystick for completely botching up a critical shot at the end of the fifth level, making you start over again. It’s not going to be a mainstream hit but it can deliver some thrills at a reasonable price if that’s what you’re looking for. Overall while there’s no doubt that Rain World is a unique title on Switch it’s also very likely going to be a love / hate affair for people at best. The controls that feel novel and unique to one person may just seem to be wonky and difficult to another, and I’d say both perspectives are right to a degree. It’s very much a trial and error kind of game, and the ever-present reality of the next monsoon coming to wipe you out when it’s most inconvenient adds to the tension and, often, frustration. That said, if you like a challenge, are interested in something that plays quite differently, and have some patience for getting to know how to make the best use of your always-limited time is can be rewarding. While there are similarities here to Overcooked, Catastronauts is very much its own distinct experience and will require your full attention to be successful. Rather than being so many distinct tasks you need to complete in sequence and looking to optimize performing those tasks Catastronauts focuses on setting mayhem into motion and forcing you to adapt. Smart positioning, keeping your critical tools close at hand, and transitioning quickly between working on offense and then keeping your ship in one piece are the keys to success. While the pressure of the experience may not be for everyone it makes for a thrilling and unique challenge. Complementing already solid shooting gameplay with a terrific graphical overhaul, some smart new elements, and a provision for local co-op Pang Adventures is a joy for a vintage gamer like me to play. Familiar and yet modern, challenging and yet fair, it starts out a bit slowly but doesn’t take too long before it starts making you work to complete those levels. Remaking classics is undoubtedly a challenge, forcing you to balance a sense of nostalgia with a need to keep things fresh. For the most part the folks at DotEmu have knocked this one out of the park, and with it’s pocketbook-friendly price it’s easy to recommend to any retro gaming or shooting fan. If you’re really interested in a more minimalist take on roguelikes you may find Xenon Valkyrie+ to your liking. Just understand that it’s very much a no-frills experience that has issues with balance and variety, never really feeling like it nails any particular aspect completely. In general, I’d say you’d be better served finding one of the many better alternatives in the genre on the system. In the end The Aquatic Adventure of the Last Human is a decent but bare bones Metroidvania experience whose greatest asset is just being a little different. People who like to be challenged may find the tough bosses to be a fun test of skill but the dead periods in between as you figure out where to go would probably detract from the enjoyment for them. It’s not a bad title, it’s just hard to get excited about it when there are just better and more fleshed out titles available in the eShop. If you’re looking for a decent run and gun experience with a hint of puzzling thrown in Omega Strike isn’t a bad option, just don’t expect many surprises along the way. It has no major flaws to speak of, is designed reasonably well, and puts up a bit of a challenge in spots, especially when save points get a bit spread out. There are definitely more ambitious titles already on the eShop but in a pinch this makes for some decent variety, especially if you are looking for something a bit old school. If you’re down for a challenge and some frustrations, and enjoy the thought of turning out the lights and enjoying some creepiness, it’s not a bad experience. You may find the puzzles to be intriguing but also don’t be surprised if you find yourself needing to hit a walkthrough to figure something out, though that’s not unusual for adventure titles in general I suppose. I just wish its use of horror and suspense lived up to its initial promise, rather than just being something you need to deal with in roughly the same way throughout. If you don’t mind the aggravation and can get into the zone there’s plenty to do, especially given how many upgrade elements as there are hidden even in the earliest levels. You won’t be able to get at them initially, you’ll lack the unlocked power-ups to do so, but if you want to always be putting your best foot forward you’ll need to seek these out a little off the beaten and obvious path or even in some cases hiding in plain sight. It’s absolutely a challenge and is full of colorful visual flair, but it’s also not as polished as the best runners on the system, making it recommended for the right audience but with some caution. Despite my complaints I was surprised at how much the loop of Mana Spark got me hooked. There's some smart tactical combat here that's challenging in a different sort of way, the need to make use of the environment and your secondary item to lure enemies around as a method to kill them is fun and a bit different. While it is lacking in polish and won't appeal to people looking for more twitchy shooter-style fun Mana Spark does manage to carve out a place for itself as a solid alternative for people looking for a roguelike with a slower pace and some smart gameplay.